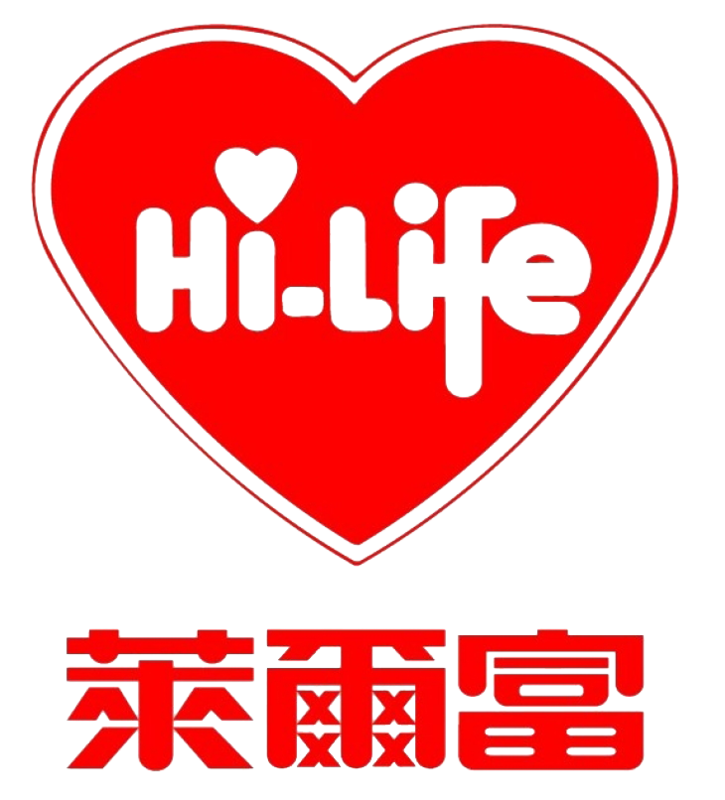 Since Life Potential first publication in 1991, Life Potential has been a leader in the mind, body, spirit title publication in Taiwan. 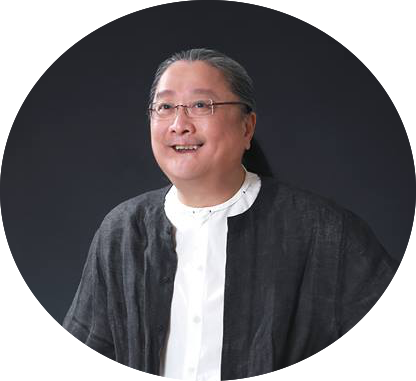 Mr. Yi-Min Hsu, the first Gestalt psychotherapist in Taiwan and also a pioneer in the field of psycho-spirituality in Taiwan and China, founded Life Potential, which holds a history of 30 years. Life Potential was formerly a part of the Truth, Goodness, and Beauty center. And through the countless efforts of Life Potential leaders and team members, it has become the standard of Taiwanese mind, body, spirit publications. They introduced valuable and inspiring titles from the west such as “You Can Heal Your Life” series by Louise L. Hay, “MenAre From Mars, Women Are From Venus” series by John Gray, Ph.D., “ArchangelOracle Card” series by Doreen Virtue, Ph.D., “Love, Freedom and aloneness”series by Indian Master OSHO. Starting from 2011, Life Potential expanded the landscape of their publication to literary titles and audio books. At the same time presented the "Life Learning" series. Life Potential opened a new door to offer readers inspiring stories, greater choice of learning and development, and more ways of inner growth and psycho-spiritual nurturance. Upon the year 2012, 22 years since the founding of Life Potential, Life Potential cast its gaze further in the future. Holding the leadership role in this field, Life Potential continued to offer titles and opportunities to accompany readers' desire for growth and spiritual ascension. Life Potential will continue to enrich the mind, body, spirit field of the Chinese world through publication and various learning opportunities. And play a role in the exciting and signification evolution of human consciousness and awareness! Mr. Yi-Min Hus, a Gestalt psychotherapist that embodies boldness of expression and keenness toward details touches the lives of many. His deep insight and directness are always magical in accessing the inner world of people that he meets. Every encounter with him would inspire awareness and re-awakening of inner strength. Being one of the pioneers of the human potential movement in Taiwan, Mr. Hsu founded the Truth, Goodness, Beauty (TGB) institute in 1987. He integrates the traditional Chinese philosophy and western potential movement to develop a psycho-spiritual path that matches the Chinese population. Mr. Hsu has led more than 700 workshops and assisted more than 20,000 people in the road of self-growth and potential realization. For many years, Mr. Hsu also contributed his professional capacity in psychotherapy in major disaster recovery efforts and social assistance programs. After the September 11 earthquake in Taiwan, he led a team of volunteers to provide pro bono services for the victims and family that were affected by the disaster. Mr. Hsu also went to Hsin-Chu and Gao-Hsiung to provide counseling service and training for the juvenile correction facility teenager and staff. On 2008, he also proceeded to Sichuan earthquake site in China giving psychotherapy and supportive services. In China, he was invited to offer training for the mental health professionals in major hospitals across the country. Thus, holding the spirit of compassion, Mr. Hsu has been traveling between Taiwan and China to inspire exploration, discussion, and application of Gestalt therapy and personal growth. To solidify the work, he founded Jonathan Life Institute and has become the lead speaker and master therapist being invited by many for talks, workshops, and consultation. Mr. Hsu is the few master Chinese psychotherapist that is recognized by academia, counseling, clinical psychology, education, juvenile system, the judicial system, etc. He has written countless titles such as "Psyche Reconstruction", "Spirit, Desire, Emotion, Eros, and Love", "Embracing Life Potential", "As is" with 10 volumes of audiobook, and "Life's Spirituality" 6 disc talk series centering on personal growth, parenting, and couples work. Jenny Wang, through thirty years of ups and downs, traverses from the world of external cosmetics to the realm of inner beauty. She once played the role of good wife and daughter, but life eventually brought her to the discovery of her authentic self and femininity. In the journey of inner growth, she was able to reclaim her sense of power and become a Gestalt therapist. Since then, Jenny has led countless people in walking the path of integration and rediscovery of their natural born beauty. Jenny has transcended from the path of personal growth to catalyzing the development of the field of mind, body, and spirit. 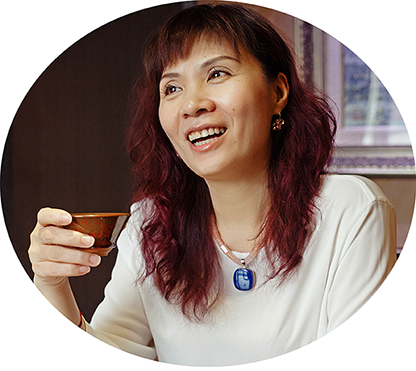 Holding deep gratitude towards the gifts, she has received and trusting in the transformative power of inner work; she led Jonathan Life Institute in China and Life Potential Publications in Taiwan for the past twenty years. Jenny has worked tirelessly in bringing the best approaches, classes, teachers, facilitators, books, and products from the western world to the Chinese community. Her efforts offered precious opportunity to experience psych-somatic development and spiritual emergence, which set the gold standard for the mind, body, and spirit work in the larger Chinese communities (China, Taiwan, Hongkong, and Macau). It is precisely because of this spirit that she embodies and the smile that inspires, whoever crosses paths with her would begin an inquiry towards life, embark on the journey of self-discovery, and eventually awake the courage for one to embrace challenges and shadows. Jenny’s interest and childlike curiosity in learning and discovery, allowed her to have immense creativity. With that, she is able to lead her team to innovatively develop mind, body, and spirit products, artworks, and classes. Currently, Jenny is the president of Life Potential International Organization. She also acts as a speaker and facilitator for various workshops and events offered at Life Potential. The main workshops she is leading are Discovery of Self Value, Feminine Power, Soul Design, Divine Spirituality, and Art Healing. Jenny also shares her knowledge and resources in mind, body, spirit at a weekly radio show by Han Voice Broadcast station.